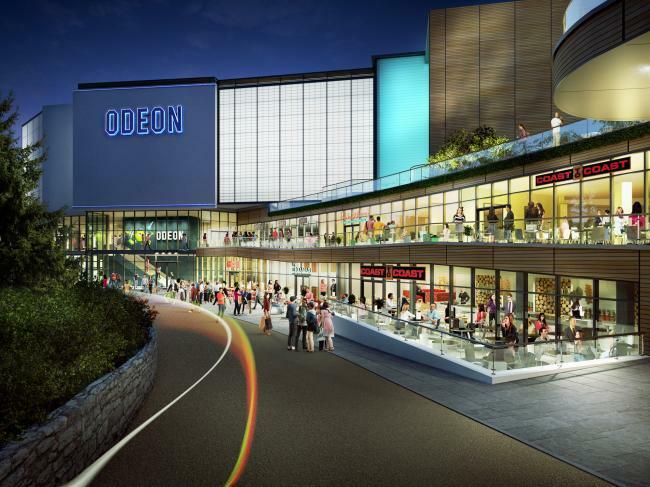 A newly opened centre for evening entertainment, the Bournemouth BH2 Odeon offers excellent facilities and a wide variety of restaurants. Having now dined at a multitude of locations within the Odeon itself, as well as seen a variety of films (which I won't be reviewing in this article) here's my 2 cents. The locations themselves look fantastic, interiors attract and set an atmosphere for a comforting and pleasant evening experience. The building is slick and by no means an eyesore. The restaurant choices are also appropriate with the chance to stop by a 5 Guys for a milk-shake before going to the cinema or head into a Nando's or Chiquitos for dinner post film. My personal favourite is Frankie and Bennie's. The Philly Cheese Steak just appeals to my crave of being as unhealthy as possible while tasting incredible. And well, the recliner seats are fantastic. The normal seats are comfy. I'd skip the premier seats though, they're tough and uncomfortable, frankly. Oh, and don't buy the popcorn, it has sat out for an hour in the pick up and go system. Furthermore this is perhaps the most highly priced cinema I've been to. Recliner seats will set you back over £10 for an adult with £9 being the price for standard seats. If you're a regular cinema goer you're better off getting limitless, though even then it'll cost extra for recliners. That being said this might be one of the best cinemas for picture quality going. Isense is incredible 4K resolution. The sound quality in each theatre is breathtaking. Explosions rocket from each side of the room. Even the 3D is impressively handled. I would definitely recommend the cinema to a film lover, even the smallest screens still pack a punch. In spite of the price, if you want a strong experience for that next big blockbuster this may be the place for you.